The World Federation of Trade Unions (WFTU), which is the militant voice of 92 million workers in 126 countries all over the world, stands firmly by the side of the 2.000 workers of the factory of FIAT Chrysler Automobiles, automobile assembly plant in Kragujevac, Serbia, who are on strike since Tuesday 27 June 2017. The workers have taken strike action against the intensification of work, which increased after numerous workers were dismissed from the factory, while the factory tries to produce a high number of cars per day. Their main demands also include wage increase and transport allowance. WFTU, on behalf of the world class-oriented trade union movement, calls the working class of Serbia and internationally to support the struggle of the workers of the factory of FIAT in Kragujevac. This factory has great profits from cars production and exportation that are gained through the exploitation of its workers and through the intensification of work, with dramatic results on their health and safety. International solidarity with FIAT workers in Serbia to continue their struggle until the satisfaction of their just demands! 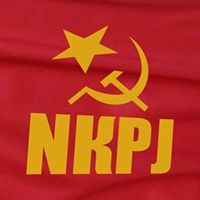 NEW COMMUNIST PARTY OF YUGOSLAVIA (NCPJ). Call for Solidarity: Workers go on strike at Fiat Serbia factory. Workers at the factory of Fiat Chrysler Automobiles’ Serbian subsidiary FCA Srbija in Kragujevac are on strike over excessive workload and low wages. The strike began on Tuesday 27 June after two days of warning protests. Two thousand blue collar workers, representing 90 per cent of the workforce, have taken strike action to demand a small wage increase, paid overtime, an end to layoffs, a reorganization of work to cut workload, and compensation for transport costs for shifts that start or finish when there in no public transport. The core issue is the intensification of work, and low wages. Last summer, a whole shift was laid off, but the volume of work stayed the same. Workers took strike action after management refused to negotiate. The strike is seen as a highly significant test of Serbian workers’ ability to resist the intensification of work, and win a decent living wage. Many European auto manufacturers have shifted production to Eastern Europe, where wages are low. FCA Srbija production workers earn about 400 Euros per month. Recently, Slovakian VW workers won a significant wage increase after taking strike action. 4. Apply the collective bargaining agreement to both the transport allowance when working outside the standard working hours and no public transport is available (at night from 22.00 to 05.00). The way foreign “investment” works in Serbia and neighbouring countries goes well beyond standard bourgeois exploitation. The term “investment” here has truly turned into its opposite. Most of the expenses are paid out of the state budget, leaving the private owners to accumulate more and more super-profits without any serious risk to their businesses. The workers in Kragujevac aren’t the only ones who decided to intensify the class struggle. More and more strikes are being reported throughout Serbia and other former-Yugoslav lands. “Falk East” in Knjaževac, “Goša” in Smederevo, the Railways of the Serb Republic (Serb part of Bosnia and Herzegovina), and the list goes on… As the economic crisis deepens and the cost of living grows, the purchasing power and working conditions are deteriorating at a rapid pace. The intensification and expansion of class struggle is becoming the only way to survive. On behalf of the rights of workers factory of Fiat Chrysler Automobiles’ Serbian to fight for their legitimate demands, we call for international solidarity. Please, send message of solidarity to our email. International Relations Section of the CC of the NKPJ.